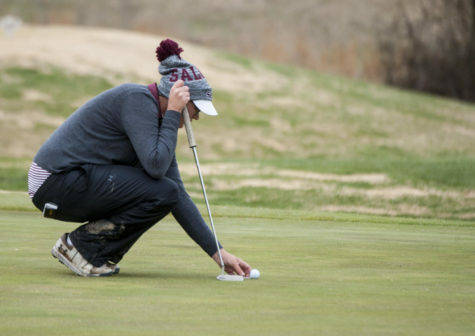 Senior Whitney Nugent’s career as an SIU golfer may not have been eventful so far, but the redshirt senior still has reasons to be satisfied heading into her final semester as a Saluki. Nugent is from Harrisburg and said playing for the Salukis was a goal for her growing up. 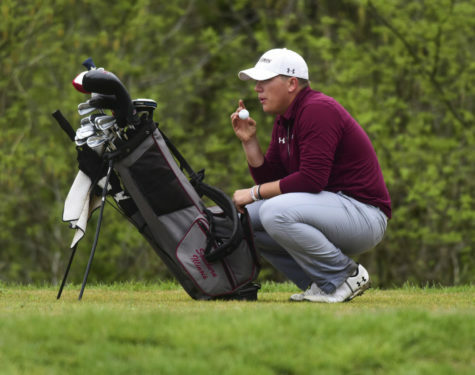 Having family in the area has enhanced the college golf experience for Nugent, whose family and friends regularly keep up with the team. 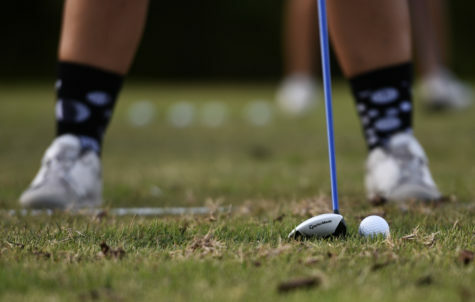 She said she sees people she knows while practicing at Hickory Ridge Golf Center. Nugent has developed a strong friendship with captain Kris Grimes, the only other senior on the roster. 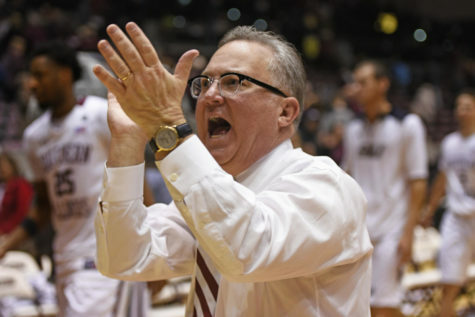 Nugent was one of the first Salukis to welcome Grimes to the team after Grimes transferred from College of the Canyons in Santa Clarita, Calif. The two plan on remaining friends long after their golf careers end. Nugent transferred to SIU from John A. Logan College in Carterville, where she held the top spot for the Lady Vols and recorded two top-10 finishes. Nugent did not compete in her first season at SIU because of a broken pelvis sustained in a car wreck. 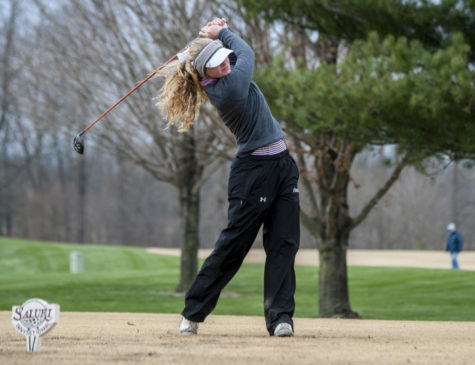 In her junior year, she competed in one tournament, finishing 63rd at the Saluki Invitational as part of SIU’s B Team. However, Grimes said the lack of playing time has not kept Nugent down. To say Nugent can be satisfied with her career, however, is not to say that she is complacent. Nugent spent the summer working on her core strength and conditioning. 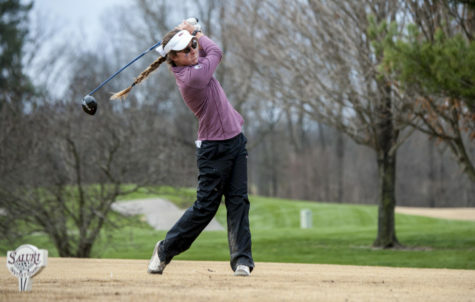 She practices the game as much as possible in order to earn a spot in the regular lineup for the first time as a Saluki. 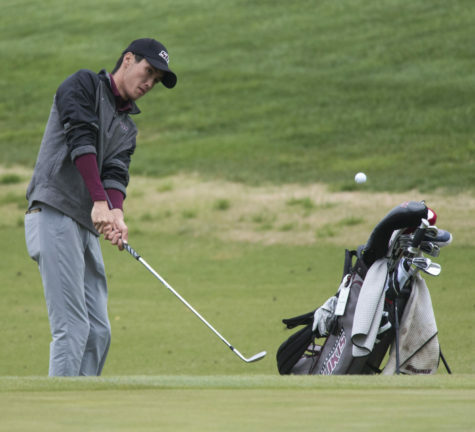 Nugent knew coming to SIU meant less of a chance of seeing the course in competition. Head coach Alexis Mihelich tells recruits that she has a large roster and playing time may be hard to come by. 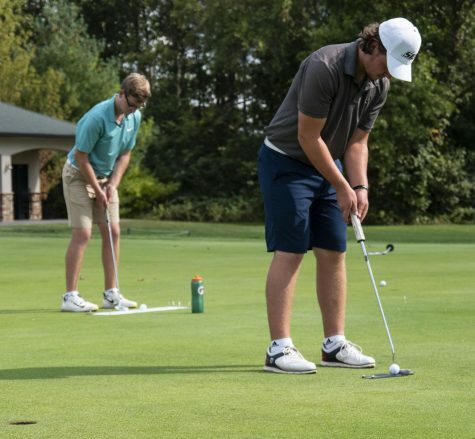 This year’s roster features 11 golfers, which means more than half the team will be left out of the lineup in any given meet. However, the lineup is not set in stone. 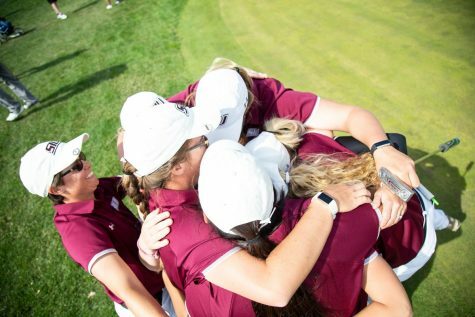 Nugent could potentially find her way into it if she performs well enough in the coming weeks before SIU opens its season at the Drake Creek Invitational in Paducah, Ky.
Mihelich expects Nugent to make a push for a roster spot this fall.